This was the opening line of my blog last Friday. And although it is hardly a new fact, the truth of this little sentence has again been acknowledged by the reaction to my post. Even though ratings and scores were not what the blog was about, the focus was quickly on this contentious subject. And it is quite easy to understand. If you are a winemaker or brand owner, your wines are like your children. You might not be blind to their mistakes, but you don’t want someone else to point it out to you! It is of course always better to be open-minded though. How else but through honest opinions will you really determine how your product is viewed? The opinion word is of course the problem. Regardless of how experienced or knowledgeable the critic is, the rating is not a lab result, it is an opinion. And there can always be something subjective about an opinion. Even if, for example, it is a blind tasting and the subjectivity is only in the critic having a preference for one style over another. Him / her might attempt not to have that influence the rating, but how difficult is that?! So, I found this great blog by Jamie Goode listing the criteria we would like our ideal wine critic to have – from an ability to taste well to having an open mind. 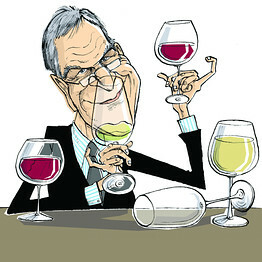 Read his blog here: What do you want from a wine critic?